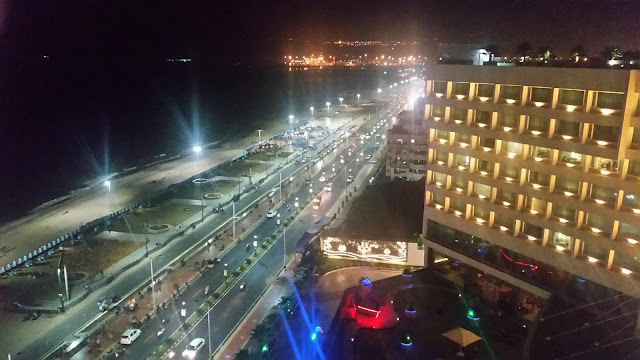 The added attraction of the place is its beachside restaurant with mouth watering seafood varieties. There is lot of excitement among the guests about the live catch – normally an assortment of fresh lobsters, sea bass, red snapper and other varieties of fish. 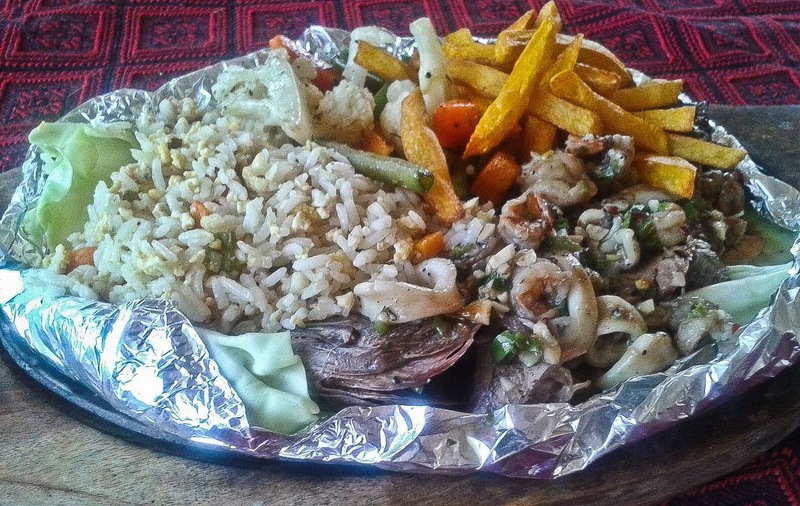 We went for a whole sea bass grilled in a butter garlic marinade, served in a bed of rice, veggies and French fries. 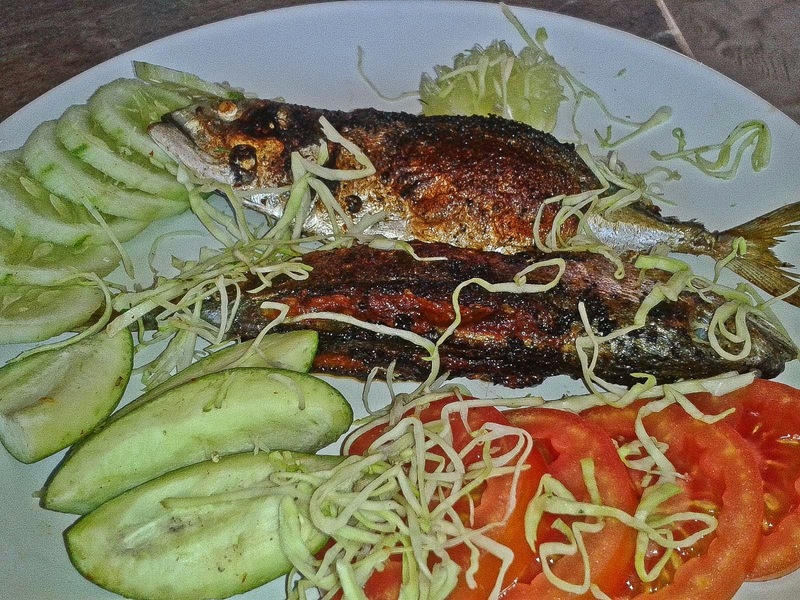 The Goan cuisine here is also a must have. My favorite here was Mackerel Recheado. Recheado, the Goan masala paste used for stuffing inside the fish contains among others red chilies, vinegar and select spices. It was served with salad and few pieces of raw mango. The Goan Prawn Curry, a red curry with fresh prawns with a coconut base and garnished with coriander. It went well with rice. 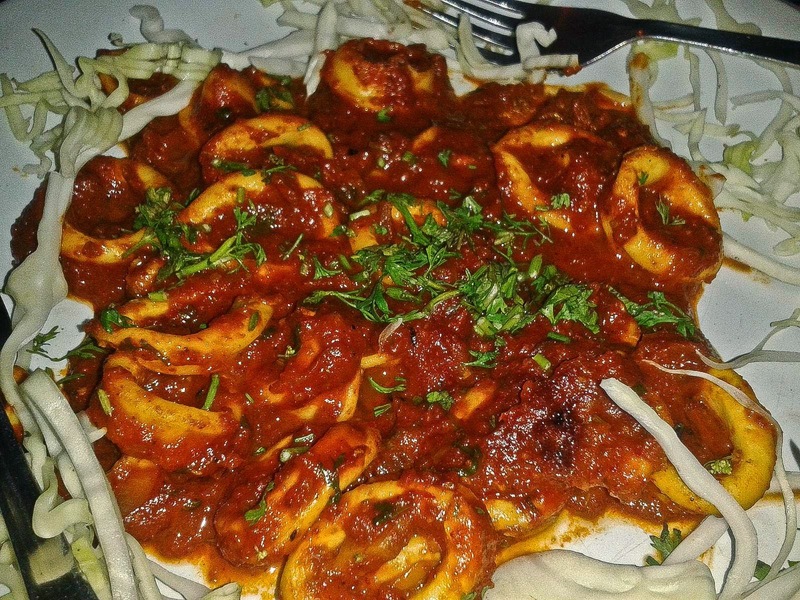 Fresh squids or Calamari is available abundantly in the locality. 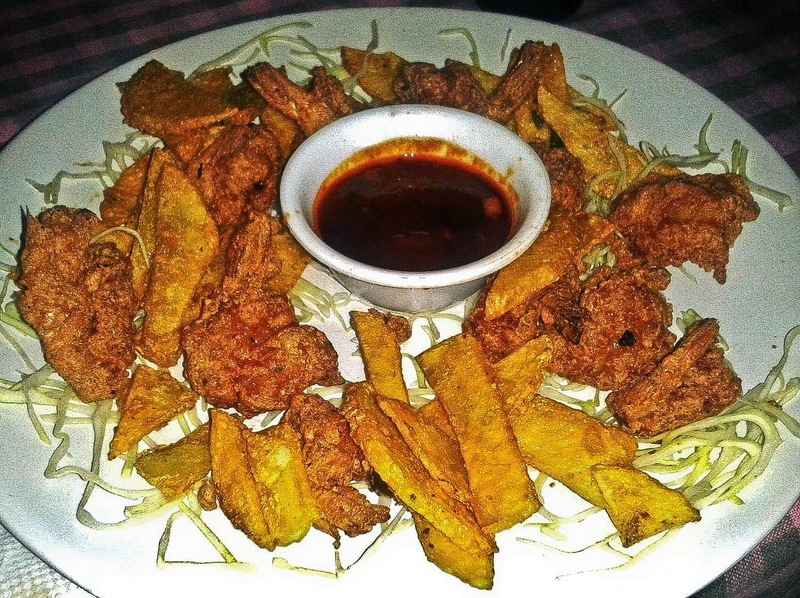 We tried a few preparations of the same, including one using recheado masala, as well as the crispy fried variety. 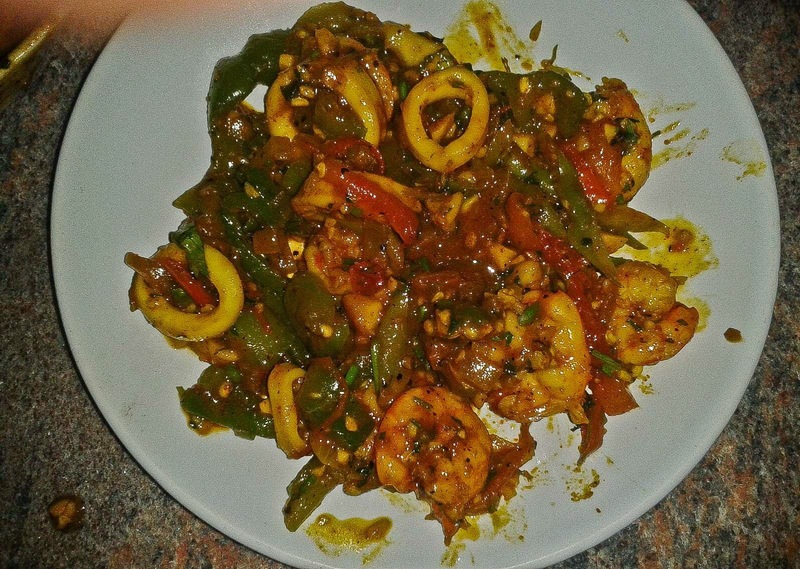 But my favorite was a Mixed Seafood Fry, which was basically fresh prawns and squid fried in masala with select veggies like capsicum and tomato. In the evening, Beer Battered Prawns were a perfect foil to the local Cashew Fenny. On a boat trip down the river to the backwaters, we came across a large cashew apple. The boatman split the fruit into four parts – and we all could taste the bitter sweet fruit. 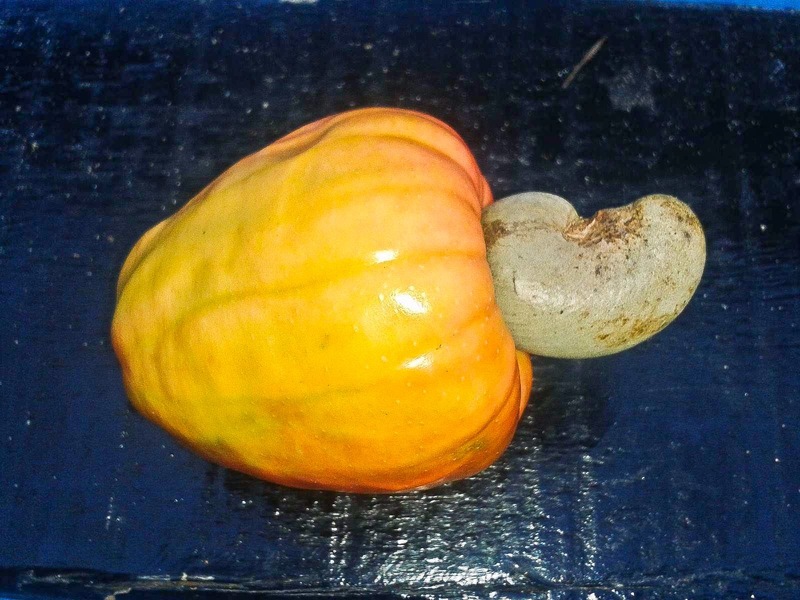 The cashew nut is the seed at the bottom of the fruit. A walk down the red kuccha lanes of the Agonda village, led us to The Meat Factory - part of the Agonda Palace hotel. 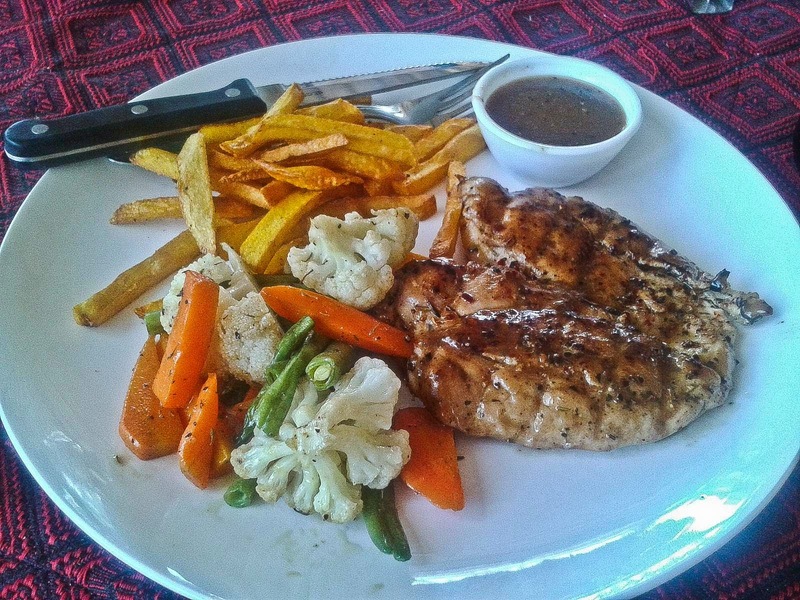 It was time for some good Chicken Steak with pepper sauce. Seafood platter- containing fish, prawn and squids served with rice and French fries was also delicious. 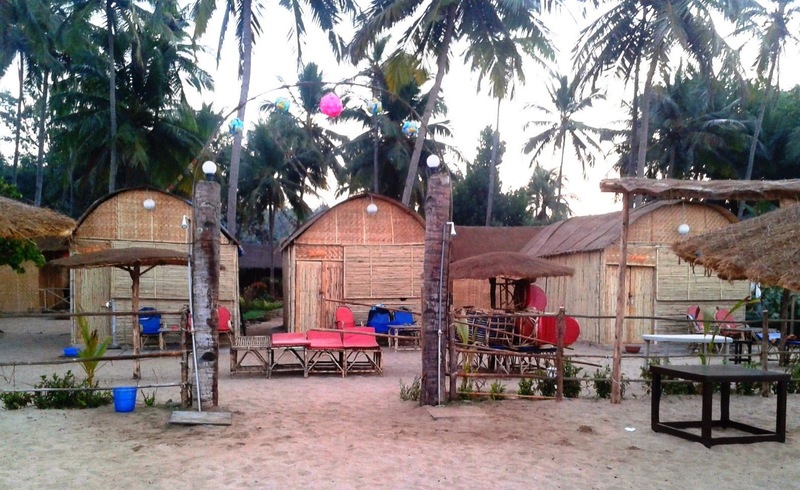 The vibrant Palolem beach which is around 10 kms from Agonda is a must visit. We stopped by a small local restaurant on the way for a GomantakThali. The Thali has fish curry, cocum juice garnished with chilies and coriander (which tasted like rasam), and couple of veggies, one of which was the red saag, which we also love in Bengal. 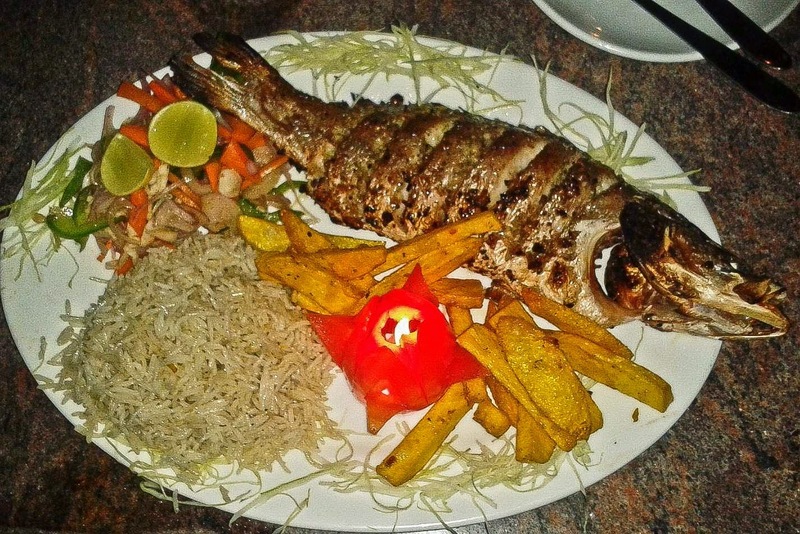 It also had the Goan Fish Rawa Fry – a large fillet of fish coated with rawa and fried. 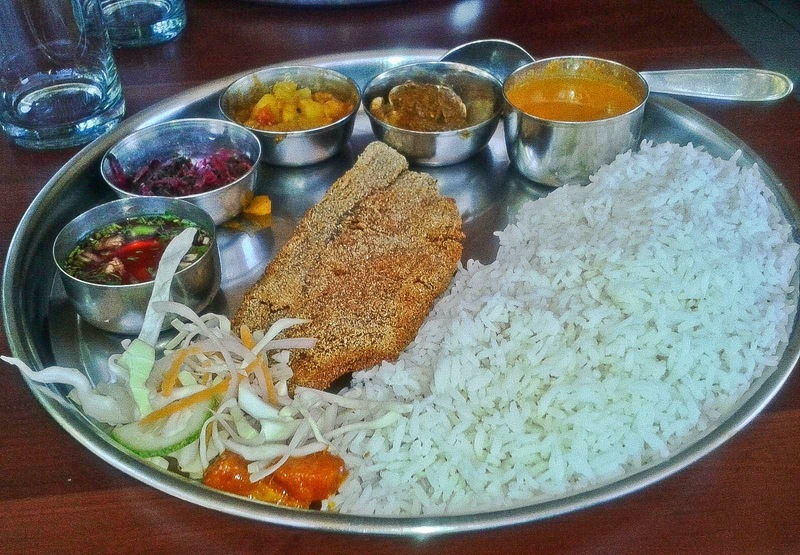 Another non-vegetarian item in the thali was the Sea Shell Masala. 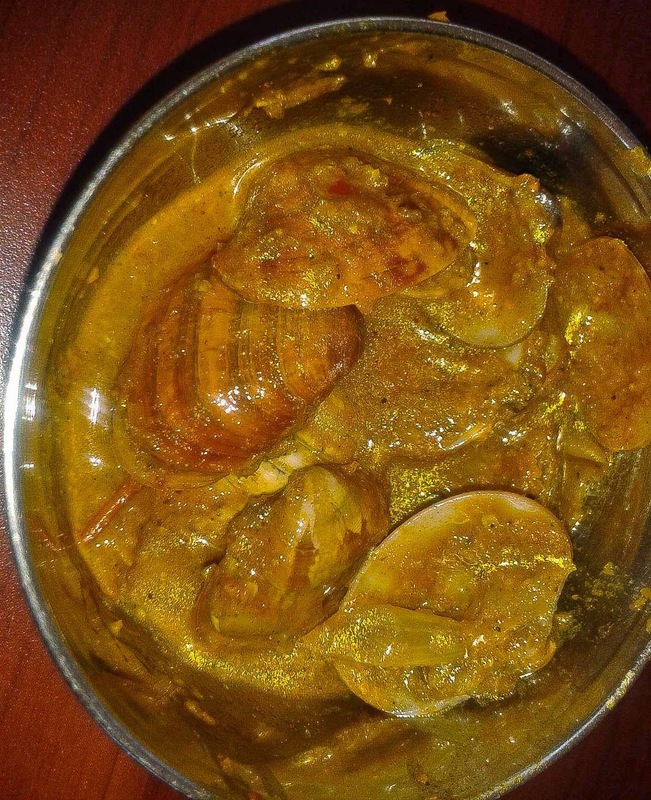 Sea Shells cooked in Goan masala. One needs to eat the little sea shell meat with the masala and discard the shells. Our delightful trip ended in no time. 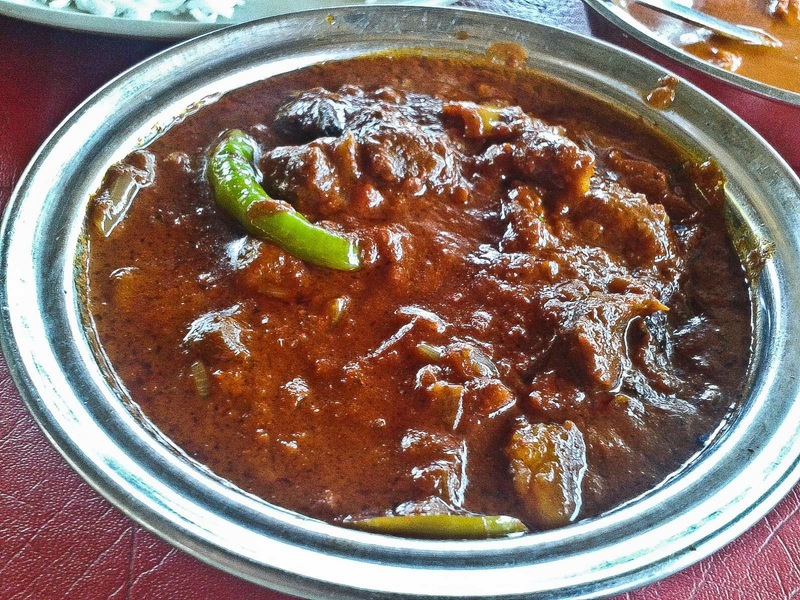 On our way to Panjim from Agonda, we did not miss out on Pork Vindaloo in a shack near Colva beach. Got to try this beach the next time we are in Goa. And the food too, of course.